Walkinshaw Sports has announced their acquisition of wholesale golf business Cooperative Golf Services (CGS). This will see all existing international distribution agreements held by Cooperative Golf Service for this region now fall under the Walkinshaw Sports banner. Walkinshaw Sports have taken this strategic move at a testing time in the golf industry, but aim to strengthen their brand position with an aggressive mindset throughout the region. This new enlarged business model along with the winning philosophy which is ingrained in the Walkinshaw Family businesses, definitely indicates they’re committed to golf and not just motor sports or a high performance vehicle manufacturer. Walkinshaw Sports will have small team of sales, brand manager and assembly based at the Ashmore office, with the assembly of Tour Edge hardware continuing to operate from the Tour Edge approved facility on the Gold Coast. The majority of the product and brands will be distributed out of the Walkinshaw Sports Head Office warehouse in Melbourne. “This is just one of many steps in our strategic business model aimed at forging and servicing stronger partnerships with our green grass, off course and retail business partners around Australian and New Zealand. We will continue to look for opportunities that will strengthen our offering and position to the retail golf sector,” said Daniel Harrap from Walkinshaw Sports. It was back in February 2011, that Walkinshaw Sports took the reins of Australian iconic golf brands PGF and Optima that are still today strongly endorsed and supported by the Australian and New Zealand golf consumer. 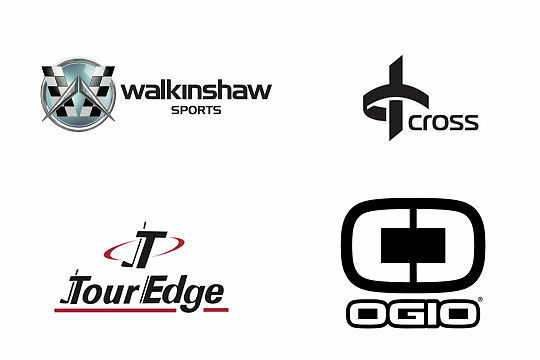 Walkinshaw Sports have also recently signed distribution agreements with leading international apparel brands Travis Mathew and Jofit. These brands will add another dimension to an already strong representation in golf and lifestyle apparel with , Nancy Lopez Golf and Sligo Wear currently represented and now joining the portfolio will be OGIO.